Soljans Estate Winery has been Family Owned for three generations, since 1937, making us the third oldest family run winery that is still family run. 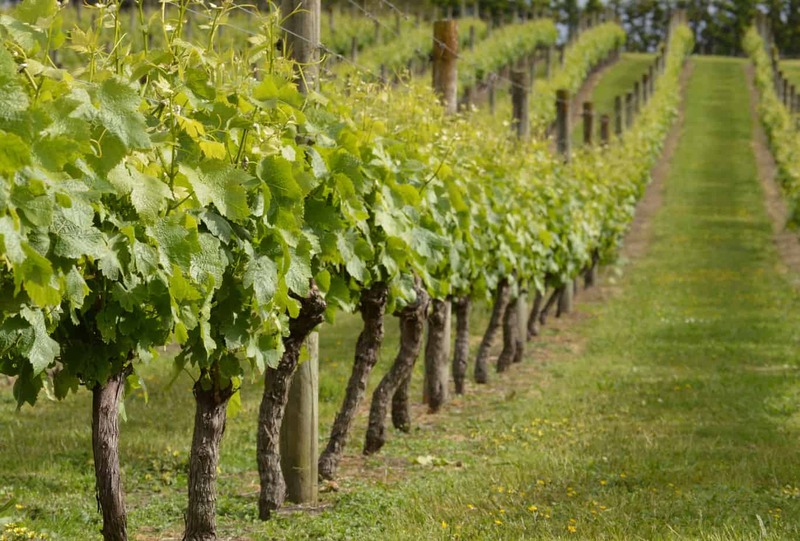 Our winery sits at the gateway to Kumeu Wine Country, Auckland’s heritage wine region. We invite you to come in and sample our award-winning wines in the Cellar Door then relax and enjoy our exceptional New Zealand cuisine on offer in our highly acclaimed Café. In our vineyard we grow Pinot Gris, Chardonnay and Pinotage, all varieties which excel in the Kumeu region. We endeavor to make the best possible wines for you to enjoy so we get our grapes from where they grow best. Here at Soljans we employ modern wine making technology but we will never compromise on quality, so we do still retain some traditional methods. In addition to the French Oak Barrique Barrels we have for ageing wine, we still have and use our hand-made, 65 year old, 2,250 litre, magnificent totara barrels for aging our exquisite Founders Tawny Port. As you can see history is very important to us and we are committed to keep the best of these traditions for future generations to learn from. Here at Soljans Estate Winery, we produce a wide range of still and sparkling wines, and have been doing so for over 80 years. 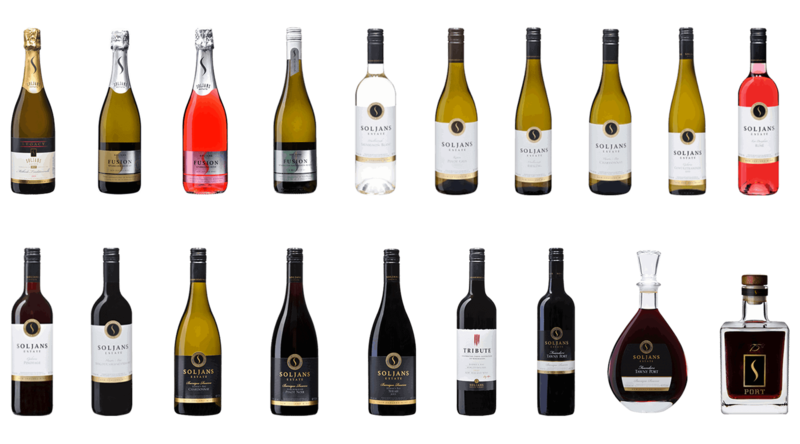 Specialising in sparkling wines, we are the proud creators of New Zealand’s Most-Awarded Sparkling Wine; our Soljans Estate Fusion Sparkling Muscat. While the majority of Soljans Estate Wines are developed from grapes sourced from the regions where they grow best, our Soljans Estate Pinot Gris is not only produced here but also grown on our very own home vineyard here in Kumeu. We strive to offer a wide range of hand-crafted wines, with something to suit all palates. With great indoor and outdoor dining areas, Soljans Café is the perfect place to enjoy a meal with friends. Open 7 days a week for lunch, with breakfast available on the weekends, it’s a wonderful place to bring family and friends. We serve Mediterranean-style food with a New Zealand twist. Our menu changes seasonally allowing our chefs to showcase the fresh produce from around the region, our menus are available to view here. Our Café is family friendly, with a children’s menu and an outdoor play area Soljans Café is fantastic for kids as well. 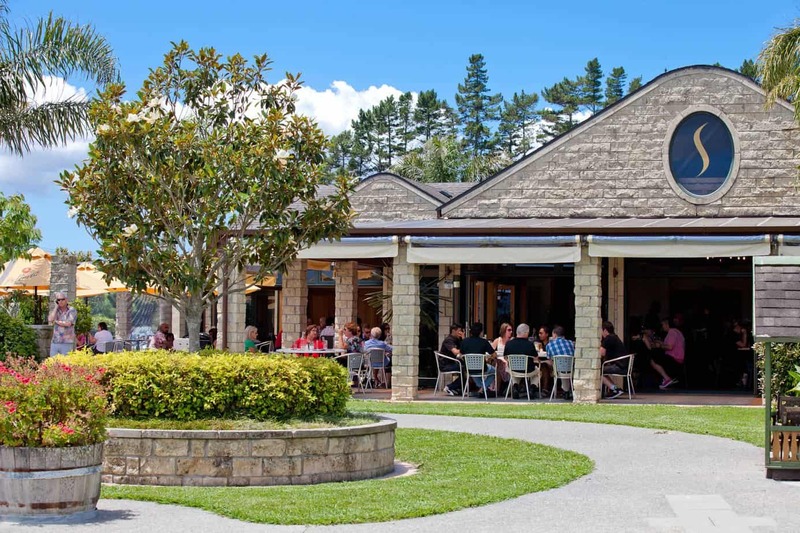 Soljans Café has been named as one of Auckland’s Top 40 Restaurants, by The New Zealand Herald, and also one of the worlds Top 20 Winery Restaurants in the World. We invite you to come and see what all the fuss is about. 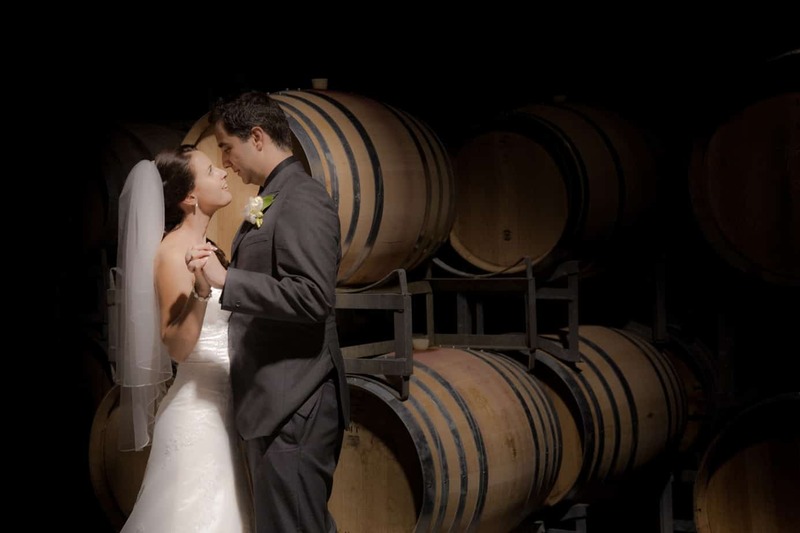 Our vineyard offers the perfect, picturesque backdrop for your ceremony, reception and photography, we have a gallery page, where guests are able to upload their wedding pictures and also to give some ideas for table set ups and various other decoration options . Here at Soljans, we have our very own Weddings Coordinator at your disposal to take some of the stress out of your big day. We have an outstanding selection of food and award winning wines available for you to choose from. The venue will be exclusively yours to celebrate your special day, your wedding day should be one of the most enjoyable days of your life and we here at Soljans will make sure that your day is exactly how you imagined it. When we were designing and building Soljans Estate here in Kumeu, we had functions and weddings in mind. From Champagne Breakfasts and Private Lunches, to Corporate Team Building Events and Dinner Functions, there isn’t much we can’t do! Our Heritage Room is the ideal space for a private lunch, or in the evening the whole venue can be yours to celebrate a birthday, anniversary, engagement or whatever the occasion may be. 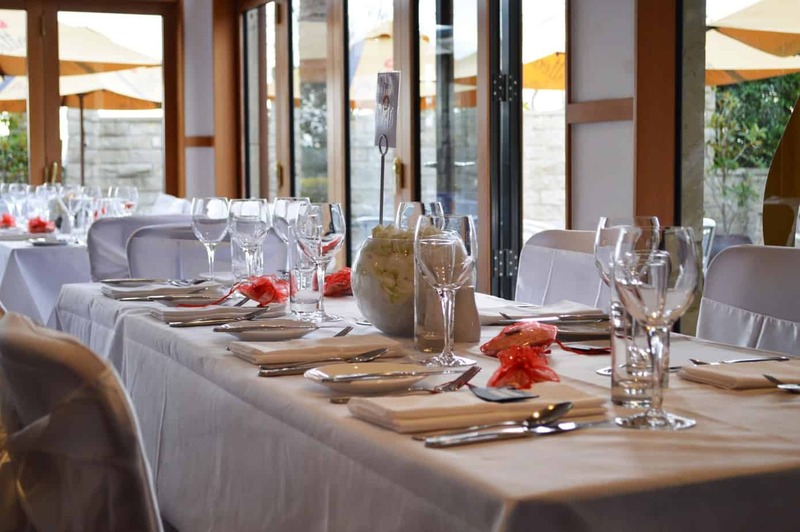 Our Functions Coordinator, Brittany, can show you a variety of options to suit your budget and occasion. Menu options and other information can be found on the functions page. 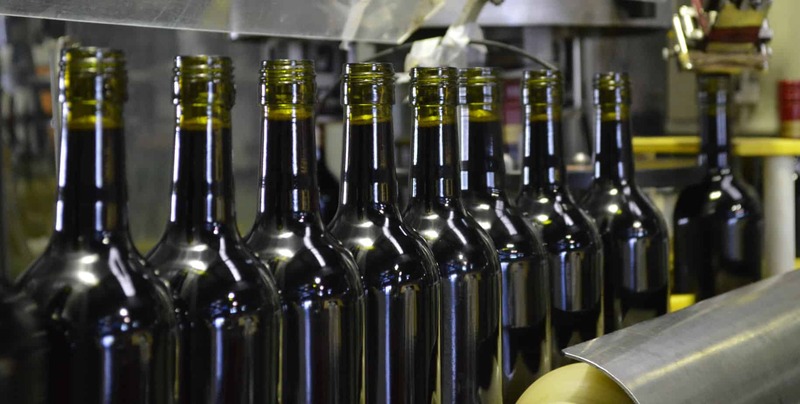 Along with producing, bottling and packing all of our own wines, we also offer our bottling services to other wineries. Our facilities are modern and highly comprehensive. We are able to bottle and pack both still and sparkling wines, and also specialising in riddling and disgorging Méthode Traditionnelle.